As I was working in my classroom today, organizing my math manipulatives, I had an inspired thought pop in my head! Of course the next thought was, "I am so blogging this!" So, today I'd like to share with you how I handle manipulatives in my classroom. Now, you may be thinking that you hate using manipulatives because your kiddos get so distracted from the actual concept you're trying to teach. You can picture that student, you know the one I'm talking about, who uses unit cubes as a weapon or some other object that isn't acceptable at school. Well, this little tip will change all that. I need to preface this tip by telling you that my students sit in table groups. Each week, I have a student who is the table captain. This student is in charge of getting manipulatives, coloring utensils, or anything their table needs. This eliminates the chaos of all the students being up at once. When it's time for math, my table captains grab the math buckets for their table. 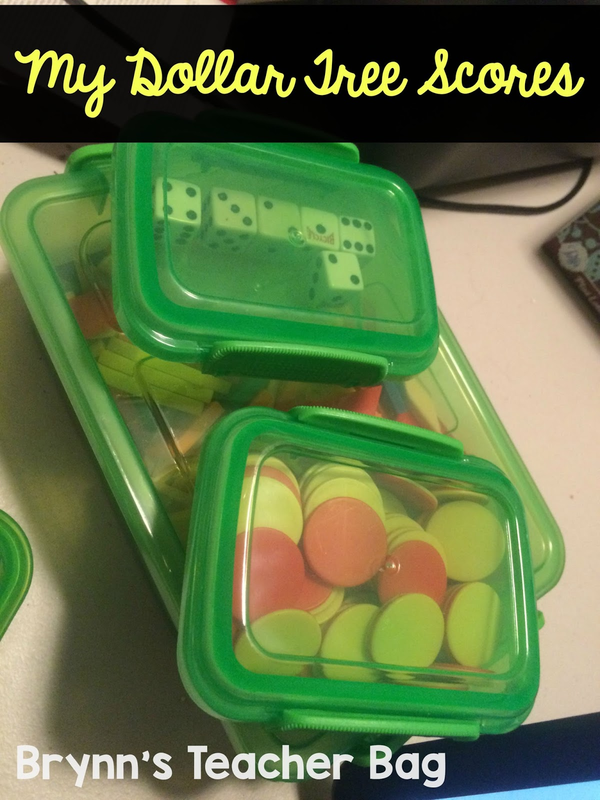 In my math buckets are small containers with all the manipulatives that we could possibly need for math. (The picture above was taken before I bought mass amounts of containers at Dollar Tree.) The table captains only get out of their bin what is needed for the lesson. This student divides the manipulatives up among the members of their table. Now this is the juicy part. I start out by explaining to my students what a tool versus a toy is. We talk about how tools are used to help us learn or for a specific purpose, while a toy is for playing and enjoyment. I tell the students that we will have a set time for them to use the manipulatives as toys, but as soon as my timer goes off, the manipulatives IMMEDIATELY become tools. I then set my timer for two minutes and the students play and build to their hearts content. 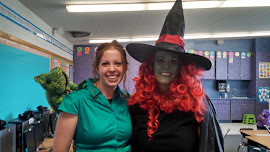 I of course remind the students that we can only play with our manipulatives appropriately. After the two minutes are up, I have the students stop and put their hands directly on their heads. 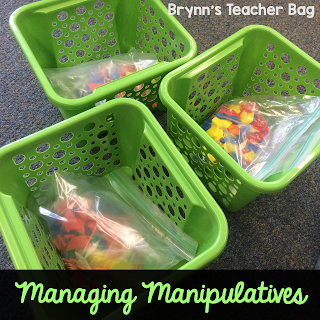 We review that the manipulatives are now tools. I warn them that if anyone uses them as toys, they will become mine. Now this is the hard part too. You have to follow through with what you say, or using manipulatives in the future will always be a challenge. I always have one student at the beginning of the year who plays with the manipulatives and automatically loses them. The rest of the class usually is dead silent and stares at this student. They then realize that I am serious and I will keep my word. I usually don't have another student take this risk the rest of the year. Now you may be thinking how mean and terrible I am because that is usually what is going through my own head. BUT....students have to learn that you mean what you say. It is imperative as a teacher to follow through with what you say. Don't get me on my soap box about this because this will become the longest post of my life! Bryyyyyyyyyn! I'm so happy I stumbled upon your blog (okay, maybe I saw a facebook post about it somewhere and stalked you down...) But anyways, I'm here! I love your idea!!! 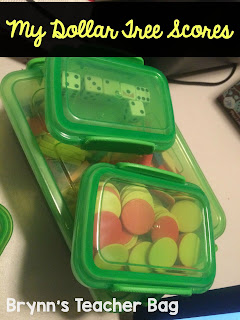 This year, our district is switching to Engage New York curriculum and I have a list of at least 100 manipulatives to buy, so this tip will keep me organized!! Jess! I am so glad I could give you a helpful tip! Please stalk my blog anytime lol. Using manipulatives my first couple years made me want to scream! When I heard this tip at a training I felt dumb for not thinking of it, but it was an "Ah-ha" moment for sure!